NINE YEARS. That’s how long a it took a California agency to create a fire zone map. Seven of those years were under the governorship of Jerry Brown. The fire map was to be a tool for agencies to monitor and manage areas most prone to fires started by utility companies/power lines. In short, it would require those utility companies to clear out dangerously dry vegetation, the very practice President Trump said should he been done to prevent the very kinds of disastrous fires that swept across California taking lives and property. The media lambasted the president for his remarks. As is often the case, the media was wrong and President Trump was 100% right. The California state agency charged with overseeing utility companies took nine years to develop a consistent statewide map designating areas at high risk for destructive power-line fires. Seven of those years took place during outgoing Gov. Jerry Brown’s time in office and six were during the tenure of a president of a key state agency who resigned after a series of leadership scandals. Longtime critics of the utility companies and their role in sparking some of the state’s worst wildfires are voicing new concerns after reports that PG&E’s transmission line malfunctioned minutes before the start of the Camp Fire, the deadliest, most destructive fire in the state’s history. Others are calling for the creation of a new independent body to oversee the utilities, complaining that the companies and their legions of lobbyists have too much sway over the existing California Public Utilities Commission, or CPUC. “All eight [cases] that I’ve litigated have all involved vegetation-management issues—every single one,” he said. The above Trump tweet was pounced upon by the Establishment Media as somehow being inconsiderate to the disaster taking place even as this same media and various celebrity figures pushed the false claim of ‘global warming’ being to blame for the fires. California’s Democrat-mismanaged state government is primarily to blame for the massive forest fires that sweep across that state almost annually. 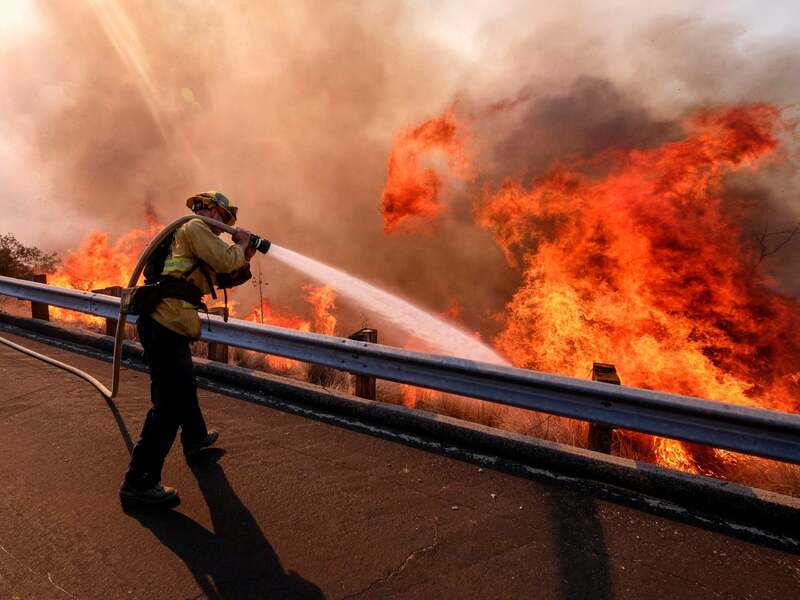 While the media are quick to show images of fire-born destruction, this same media is far less quick to actually look into the real causes of these fires. No, they would rather show human suffering and while simultaneously criticizing a president who accurately places blame for that suffering on the true source – dysfunctional government and piles of regulations that are choking common-sense forestry management. And will the media now apologize to President Trump and admit he was right (again) and they were wrong?